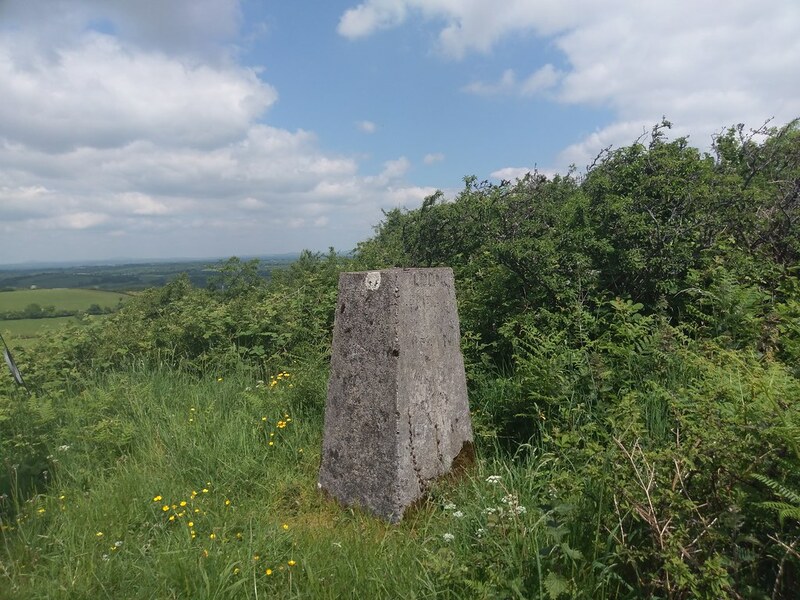 A tour of Leinster’s Trig Pillars, with Tommy McGibney. 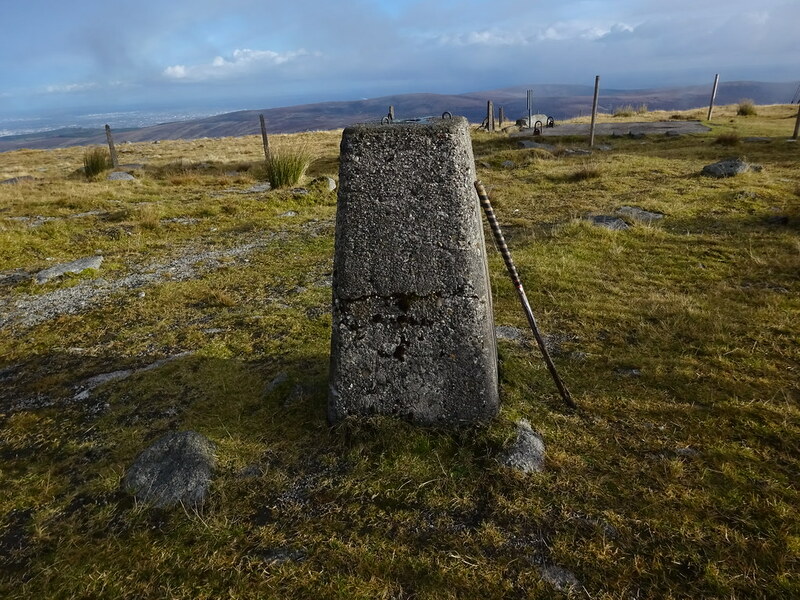 A tour of Leinster’s Trig Pillars reveals a world of contrasts, from the highest peaks of the Dublin and Wicklow mountains to the scenic Blackstairs and Cooley ranges, and on to an eclectic selection of isolated hills dotted throughout the relatively flat midlands. Here are some of my favourites from the eastern province. 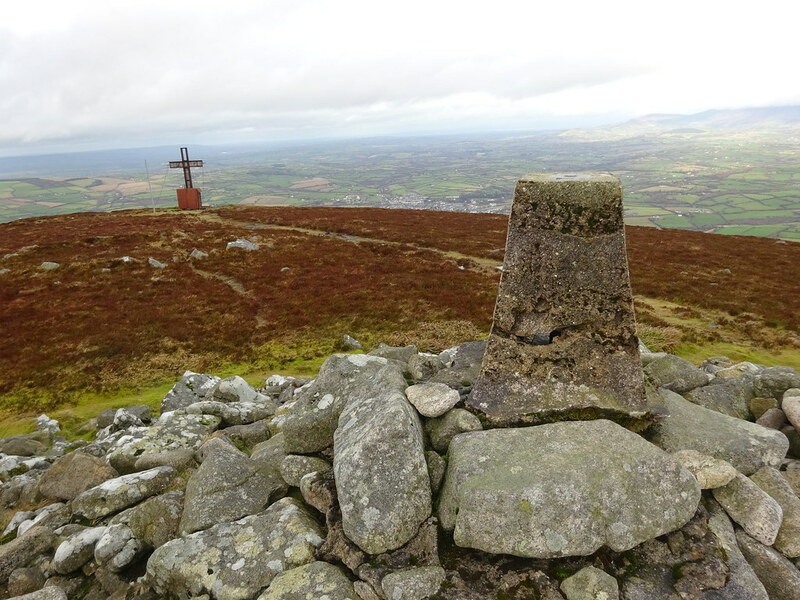 The cairn-mounted Trig Pillar and cross on scenic Brandon Hill (515m), the county high point of Kilkenny, just outside the historic town of Graiguenamanagh. The Hill of Loyd, just outside Kells, Co. Meath is best known for its 18th century steeple, said to be Ireland’s only inland lighthouse, and a prominent landmark for travellers on the nearby N3 road. The Trig Pillar stands next to the steeple. The site now also boasts an attractive and popular picnic and children’s play area. 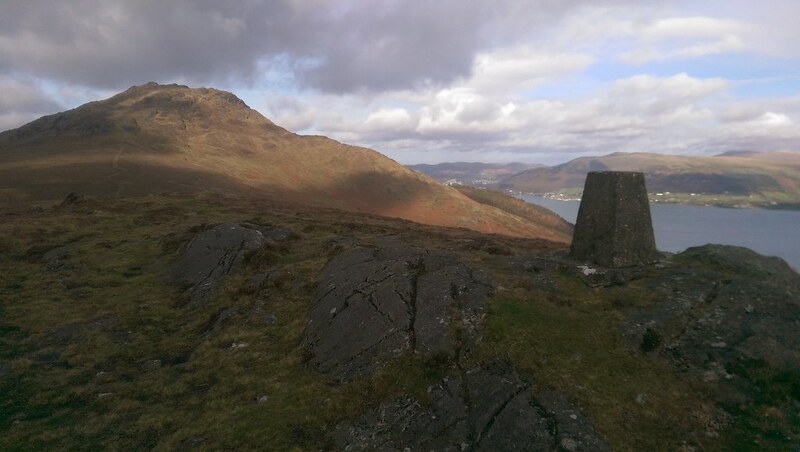 The atmospheric Trig Pillar of Barnavave (350m), overlooking Carlingford Lough and the southern Mournes. Behind is Slieve Foye (589m), the highest mountain in Co. Louth and the summit of the Cooley mountains. The Trig Pillar on Croghan Hill (234m), in eastern Co. Offaly has seen better days but still looks fantastic. This hill, although not at all high by any means, enjoys a commanding prominence over the Bog of Allen and the surrounding midland plains. 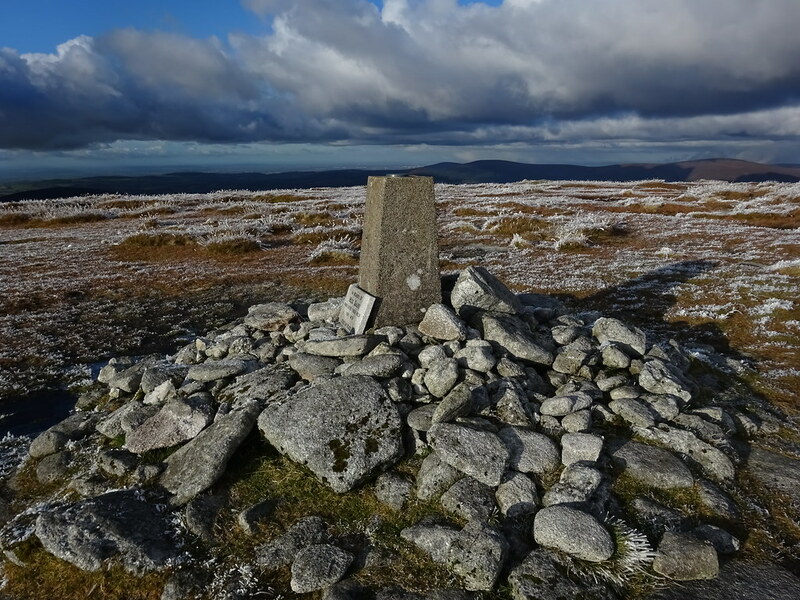 The Mount Leinster (795m) Trig Pillar represents the shared county high point of Wexford and Carlow, and the highest of the Blackstairs mountains. The well-maintained tarred road giving access to the 2RN transmitter at the summit means that this is one of the most visited Trig Pillars in the province. The mountain is also a noted location for hang gliding. 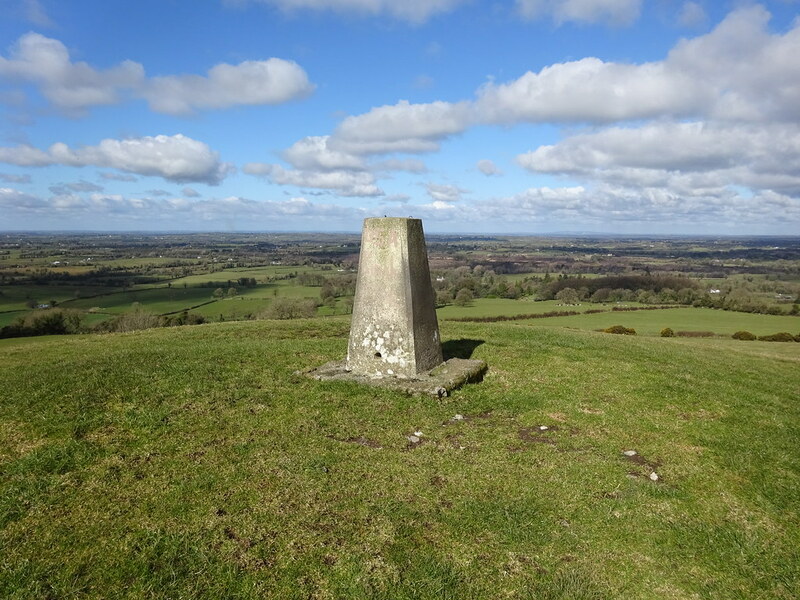 The hilltop Trig Pillar of Knockastia (200m), an isolated but very pretty peak just north of Rosemount, Co. Westmeath. 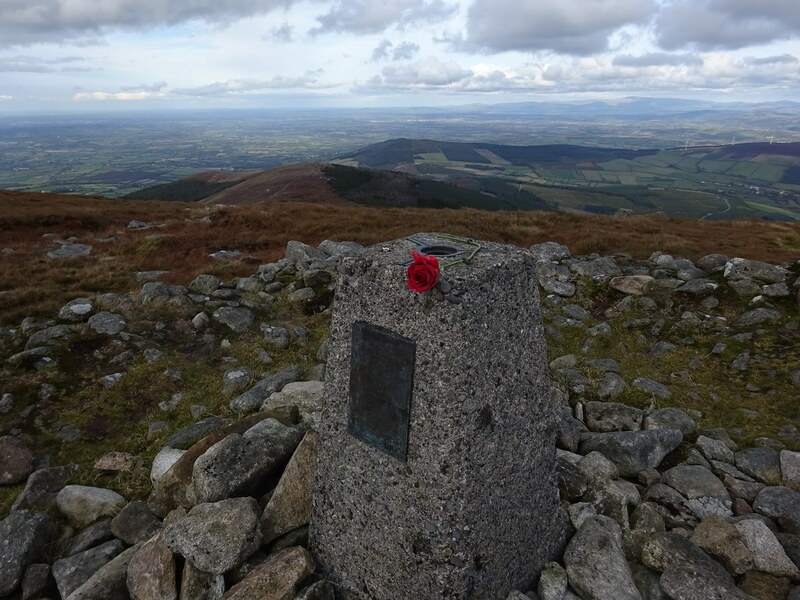 The peak of Kippure (757m), the county high point of Dublin, stands only steps away from its border with Wicklow. 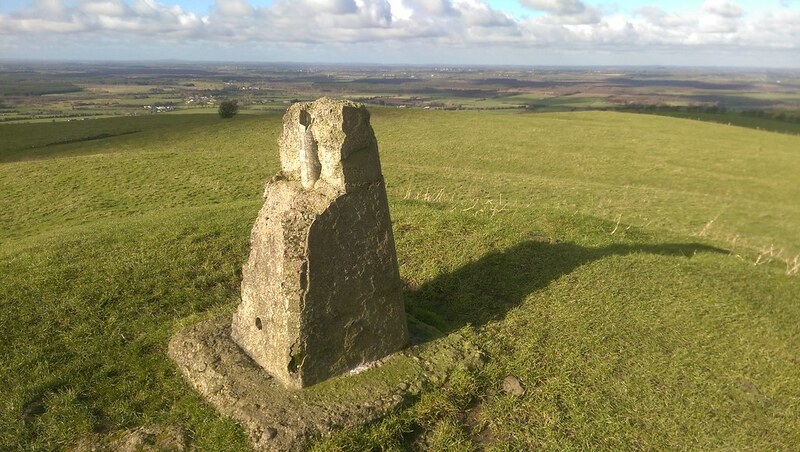 The shadow lines in the foreground are from the nearby RTE transmitter station that dominates the summit. 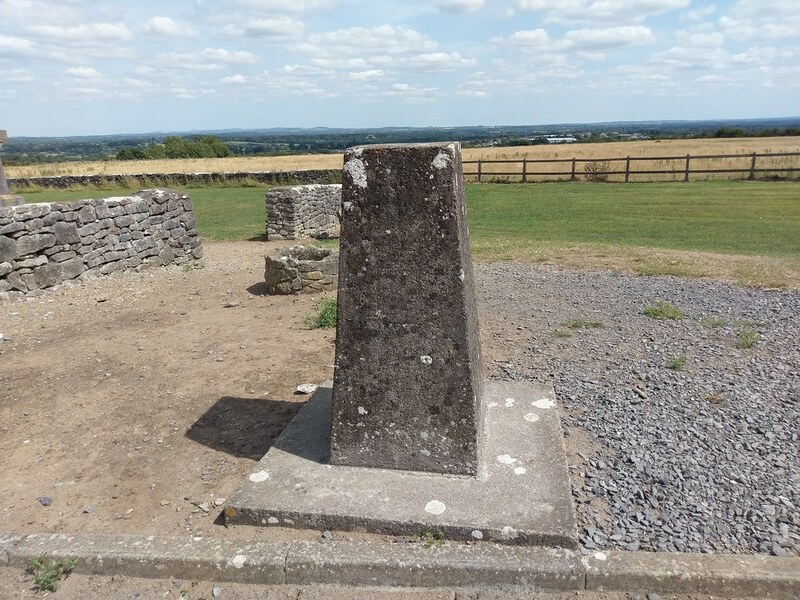 The Trig Pillar on the Hill of Ben (or Ben of Fore) (191m) , which overlooks the ancient monastic site of Fore, Co. Westmeath – one of Ireland’s most charming small villages. 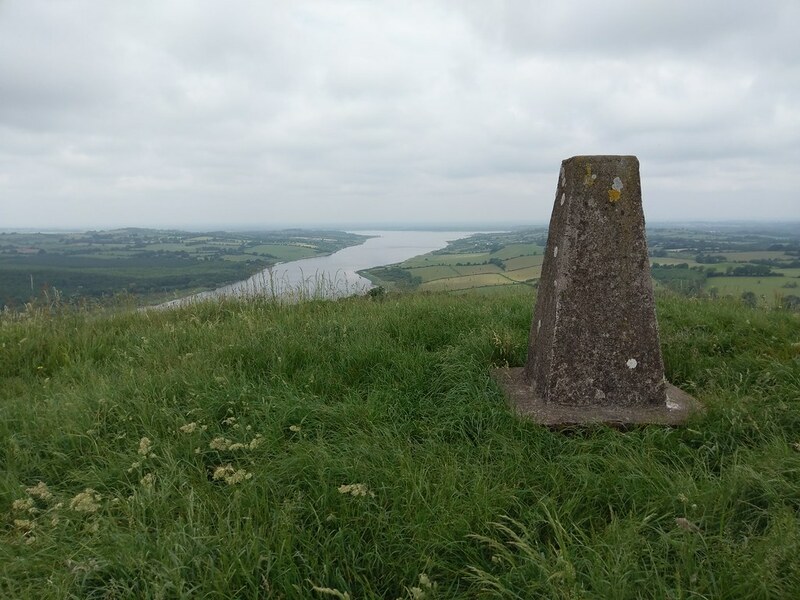 The summit Trig on Knockeyon (214m) stands sentry over attractive Lough Derravaragh, near Crookedwood, Co. Westmeath. Lough Derravaragh is best known as the location where the legendary Children of Lir spent 300 years as swans. 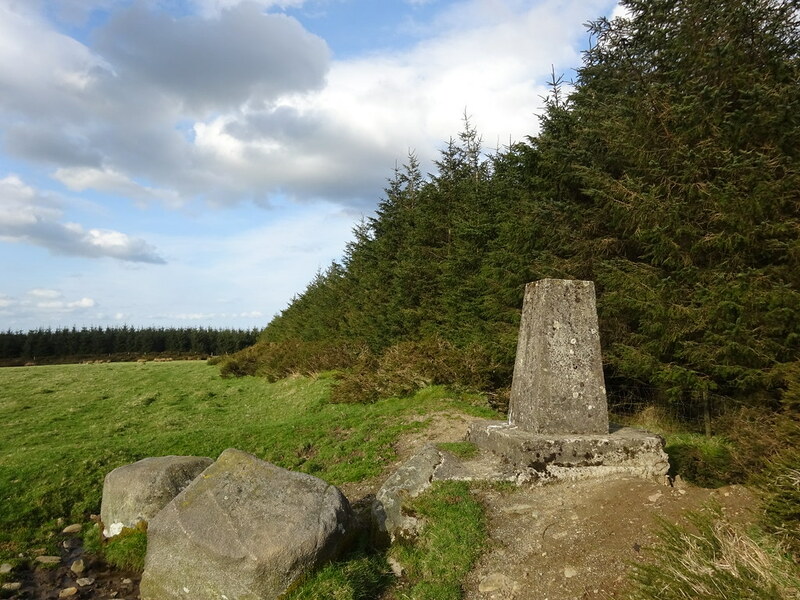 The Trig Pillar on Cupidstown Hill (379m), the county high point of Kildare. The surrounding forest sadly obscures the views towards the Wicklow mountains but there are wide and pleasing vistas of the Kildare countryside. 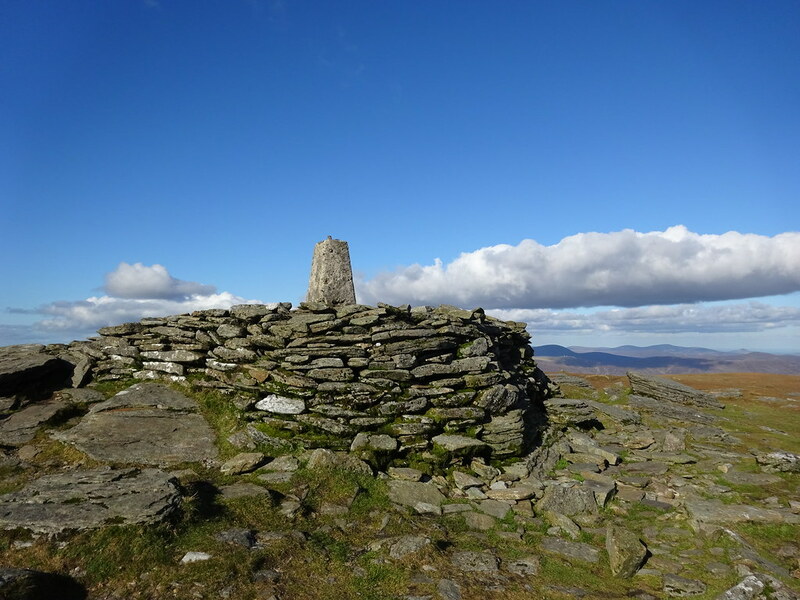 The Trig Pillar and elaborate cairn marking the summit of Lugnaquilla (925m), the highest point in Leinster.